FCC laws limit commercialism on public media airwaves. But it’s less clear what compels stations to maintain a noncommercial vibe on digital platforms. Matt Martin, former GM of KALW in San Francisco, got to wondering about that. He submitted the question “Other than FCC rules, which don’t apply to digital content, what is the limit on commercialism in public media?” as part of our Currently Curious series. It’s a question that other public broadcasters also may be pondering while creating content for digital platforms, including podcasts, that do not need to adhere to FCC regulations. NPR has imposed one safeguard: Podcast hosts who are journalists do not read underwriting copy, said Bryan Moffett, COO of National Public Media, an underwriting sales organization co-owned by NPR, PBS and WGBH. A few non-journalist hosts read sponsor spots on the podcasts of shows such as Wait Wait … Don’t Tell Me! and Ask Me Another, he said. “Whether on-air or online, the NPR audience expects and appreciates a noncommercial approach to sponsor recognition,” Moffett said. However, digital audiences have become used to podcast personalities reading underwriting spots — think of the hosts of Pod Save America joking their way through advertisements for Casper mattresses or Bombas socks. 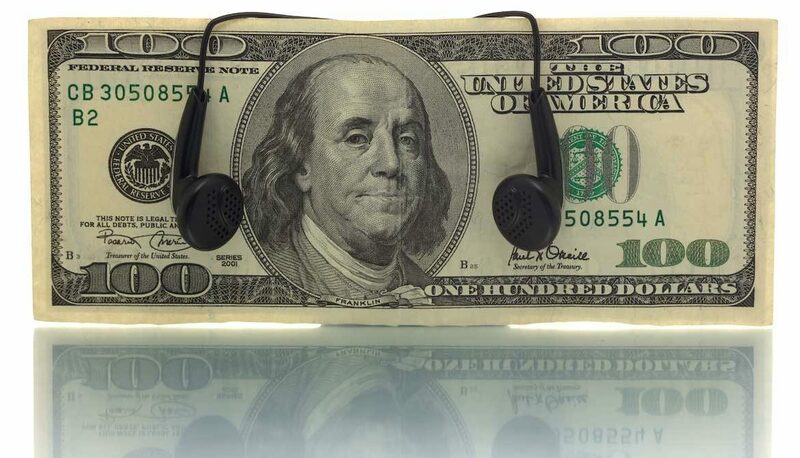 That witty banter between hosts “is what the majority of podcast sponsors want” in an underwriting spot, said Corey Lewis, station manager at WBUR, which produces 11 podcasts. “Although there are no legal restrictions on digital platforms, there are cultural ones that we’re trying to find our way though,” Lewis said. 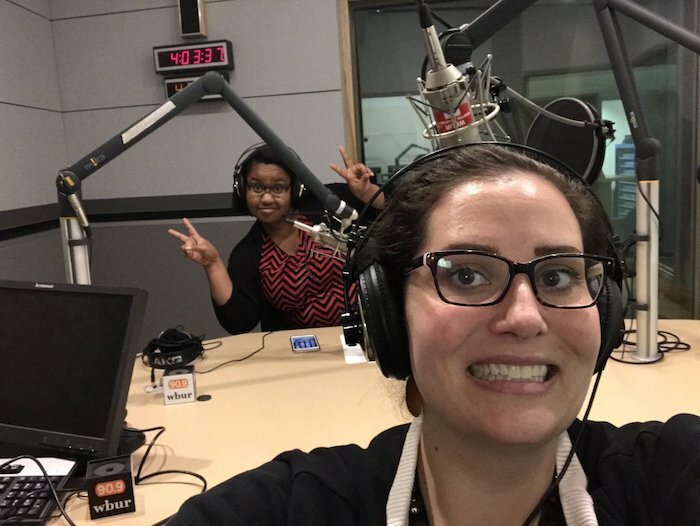 Taylor Harris (foreground) and Candice Springer, the Bay State Midrollers, create conversational underwriting spots for WBUR in Boston. So in 2017, WBUR created what it calls the Bay State Midrollers team. Taylor Harris and Candice Springer voice conversational underwriting spots for sponsors such as ZipRecruiter and Third Love bras. Their spots appear on six of the station’s podcasts. Both work in WBUR’s marketing department. Harris has a background in radio and improv comedy; Springer is the station’s events manager. The Midrollers strike a “middle ground,” Lewis said, between on-air rules, which discourage hosts from reading underwriting spots, and the anything-goes approach permissible on digital spots. Taylor said that she and Springer “reflect the actual audience” of Modern Love and other WBUR podcasts. “I think if you look at the demographics of most podcasts, at least our podcasts, it’s a lot of millennials with college degrees that are listening,” she said. “Modern Love is also a female-heavy audience. We also just happen to both listen to a lot of podcasts.” So the spots are “in line with the sensibilities” of listeners, she said. “We can naturally incorporate what the client wants with our conversations,” Taylor said. Martin said that approach is better than what he hears on other podcasts, where hosts read ads. “That feels more like, ‘It’s the Camel news hour,’” he said. Submityour own question to Currently Curious in the form below. It could be investigated in a future story. Just how noncom are you? We’re examining noncommercialism for our Currently Curious series.